Love the underplatter lighting, not so fond of the under base lighting, my turntable isnt a car ffs. Its a self install kit too, so im pretty set on getting one for each TT. Now all I need to decide is which colour to replace the strobe & target LED's! I love the mods people do with their tables. At some point when I'm feeling more adventurous with mine, I plan on doing a white/green theme for them, along with my mixer. This will def. be part of it. But it won't be for a bit lol. 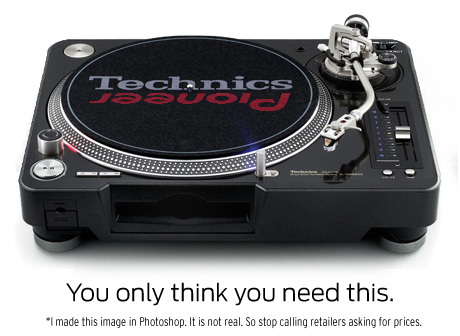 At this point.. anything that keeps the good 'ol turntable vibe alive is worth a look! There's a lot of interesting stuff over at skratchworx. interesting. I wonder if it might be a little too over the top and tacky looking. I prefer just simple LED kits. Now that's just classy IMO. But then again, I'm a sucker for blue lights..